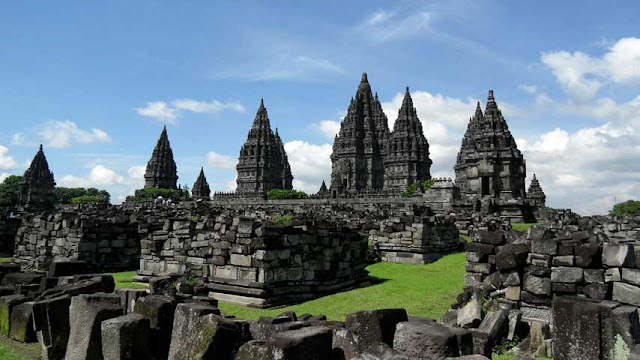 Prambanan temple is the grandest and biggest Hindu temple in Indonesia after Borobudur temple. With a slim, elegant and natural architectural style, all eyes are enchanted to see them. Foreign and local tourists every day throng this complex for just sightseeing or study. With a wealth of historical value, Prambanan Temple has been recognized by UNESCO as one of the wonders of the world and a world heritage site. Prambanan temple is located in Prambanan sub-district, Sleman, and Klaten, Central Java. 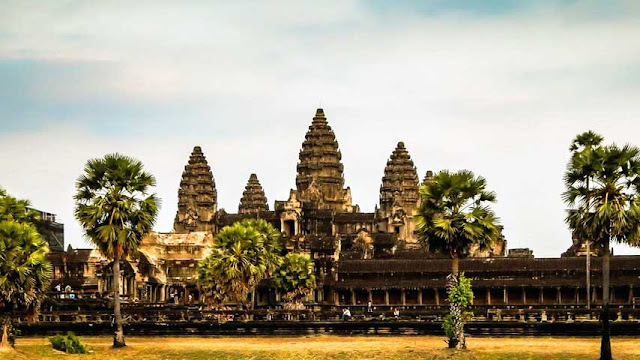 Development began in the 9th century AD by the Rakai Pikatan kingdom, as a counterpart to the Borobudur as well as a sign of the triumph of the Sanjaya dynasty. The Prambanan Temple was built to worship the 3 highly respected Hindu gods Shiva, Wisnu and Brahma. Each god is represented by 3 temple buildings. But the most important is Lord Shiva who is taller and bigger than 2 other temples. The height of the main temple or temple of Siwa is 47 meters or 5 meters higher than the Borobudur temple. Behind its beauty and majesty, this temple has mysteries and myths that develop in the surrounding community. Whatever it is, just look at the explanation below. This is the biggest mystery about this temple, there is still a lot of confusing news about the certainty of the maker of this building. According to the legendary society, the creator was a prince from the Pengging kingdom, Bandung Bondowoso. He is known for his magic because he is able to make miracles that are impossible for normal people to do. Prambanan Temple itself is one of his masterpieces, which is said to have been made in one day and one night with the help of supernatural beings. But none of the reliefs support the legend. The statue of the goddess Durga is located in one of the rooms in the Main Temple or Shiva Temple. Dewi Durga is the wife of Lord Shiva in Hindu belief. The strangest thing in this statue is the mysterious light phenomenon that appears on the face of the statue of the goddess Durga. This light appears every night during the full moon. According to the surrounding community, this light is a manifestation of the Roro Jonggrang aura. Every time this light appears the singles always scramble to get this light. According to them the light from the statue of the goddess Durga can bring them together quickly. This myth was influenced by the romance legend that ran aground between Roro Jonggrang and Bandung Bondowoso. Bandung Bondowoso, who is known to be very sincere, was rebuffed by Roro Jonggrang. Whereas the Bondowoso Bandung has agreed to the impossible request of the Roro to make Prambanan Temple overnight. But Roro Jonggrang betrayed his promise by cheating so that Bandung Bondowoso failed. Because he was caught, he cursed Roro Jonggrang as a statue and became a display of statues in the temple. This curse is believed to be inside the temple, whoever the lovers who enter the Prambanan temple will break up a few days later. Besides being famous for its story, Prambanan temple is also rich in reliefs depicting Indonesian flora and fauna. Like yellow-crested older brothers, tigers, cats, dogs, monkeys, birds, geese, deer, rabbits, and the most attention-grabbing animals are kinara - kinari which flank the Kalpataru tree. It is not known with certainty the type or species of kinara - kinari creature. This animal has the shape of a bird but with a human head. It is absurd, whether, in the past, it was familiar with genetic manipulation to produce hybrid creatures like this. 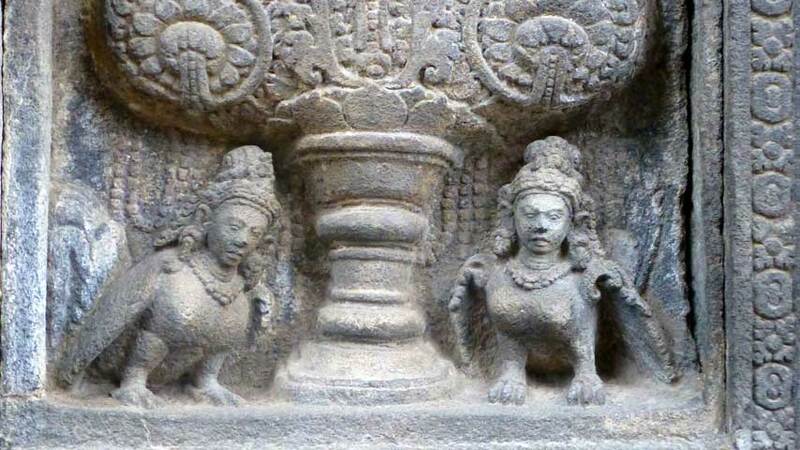 Could this be an alien work or just a work of imagination related to Hindu teachings? Everything is still a mystery. 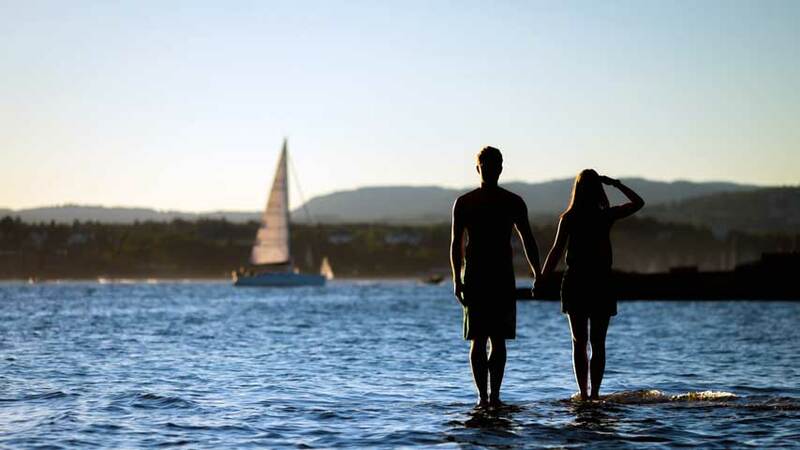 Somehow, the distance can be similar to each other. Angkor Wat is the largest Hindu temple in the world in Cambodia. At first glance, the architect is very similar to the Prambanan temple. Could it be that Prambanan temple was inspired by Angkor Wat or vice versa? But the fact is that Prambanan Temple was first built from the new Angkor Wat built in the 12th century. Perhaps past trade traffic has had an influence on the relations of regions in Southeast Asia.